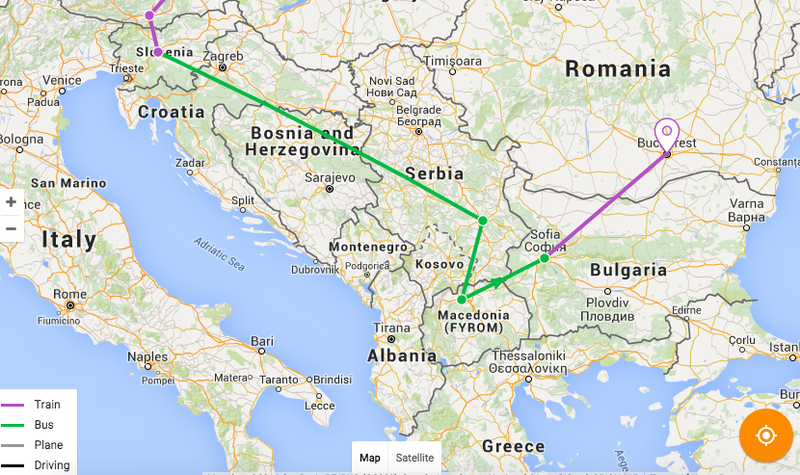 On Wednesday, I left my home-of-the-last-five-months (Austria) and started my journey to Bucharest. I knew I had to be here by Sunday, but the question was where to visit on the way! As someone who often likes to check where they can fly to for low prices, I had often seen Skopje come up and had checked it out on Google. I loved it! 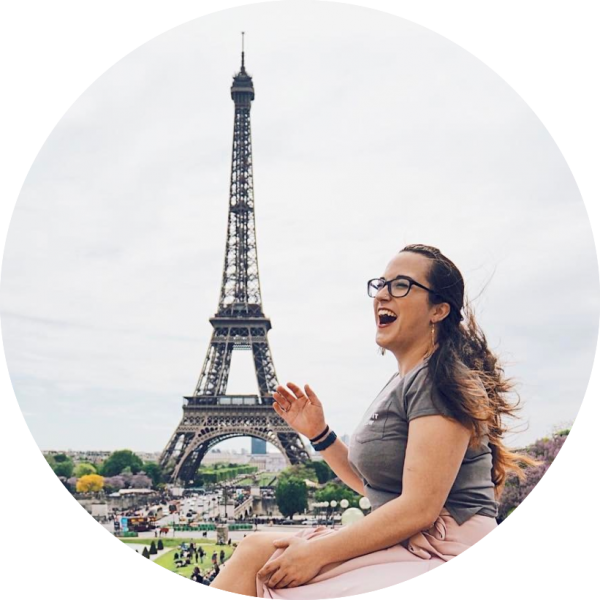 The architecture, the history, and – the icing on the cake – a budget destination. Skopje was a little bit of a detour (and not really the most logical route) on the way to Bucharest, but I had made up my mind. To Skopje I would go! Don’t forget to connect with me on Twitter, Facebook and Instagram! The only particularly eventful thing to happen on the journey was being practically interrogated by the border police. I was the only person on the coach who wasn’t Serbian or Macedonian, and was asked questions by the officer such as “where are you from?” “Where are you going?” “Why are you going?” “What’s in your bags?”, which I tried not to answer TOO sarcastically. All in all, though, I would travel with Niš Ekspres again. The drivers were friendly (even when we had some “lost in translation” moments), the coach was comfortable and the journey left on time AND arrived on time. My arrival into Skopje was an interesting combination of amazing (the views of the city) and awful (the taxi driver trying to fleece me of my money). I had already asked the guy who ran the hostel how much I should expect to pay for a taxi – taxi drivers tend to not hold back on prices when it’s obvious you’re a tourist. I was told to pay about 100 denar and no more. When asking the taxi driver how much it would cost he told me “about 150”. A good start. I replied stating what Oliver had told me – I would be paying 100. He made a non-committal noise and, since it was almost 10pm and I’d been awake since 7am (after sleeping on an overnight bus) I didn’t have the energy to argue at that point. We then went to what I thought was his taxi. No – it was his friend’s taxi and he’d be sitting in the back. 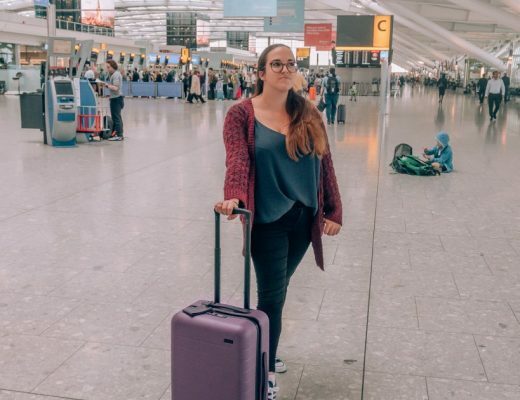 Now, as a solo female traveller, this made me a little (quite a bit) nervous. I sat there with my phone out, following the route and also “talking to friends” (I actually wasn’t since I didn’t have roaming, but they didn’t need to know that). We eventually arrived a little while later outside my hostel. The views on the way were amazing – Skopje is beautiful lit up at night. I don’t want to think of what the electric bill is, but they sure know how to light up their landmarks well. Skopje’s Government building (opposite the hostel). The friend of the taxi driver helped me with my suitcase to just outside of the hostel and then stood in the way of the bell. “180 denar,” he informed me. I told him I only had 150, but apparently this wasn’t good enough. He also wouldn’t accept the 50 denar coin I offered, only notes. “This is little money,” I was told. He then started asking for euros, pounds, dollars. I told him I didn’t have any. He didn’t believe me. At this point, I was getting quite angry, but I know when to argue and when not to. I don’t like to argue when I’m the one in the vulnerable position (in a foreign country, a fairly short woman, alone in the dark VS a local man who was fairly tall and strong). However, I did point out that these “euros” he had seen were Russian roubles and not worth much. I managed to get past him to press the bell for the hostel and he eventually left with 200 denars. After getting inside the hostel’s front door and getting all my bags in, I realised quite how scared I had actually been at the time. I stayed at Unity Hostel, a small and centrally located hostel just minutes away from some of the best sights in the city. I had conversed with Oliver, who runs the hostel, by email before I arrived so knew (mostly) what to expect. Some things were even better than I had expected! The main problem I had was that there was no lift. Had I been a normal backpacker with, well, a backpack, this wouldn’t have been an issue. However, I am in the process of moving countries (from Austria back to the UK) so I was lugging around a large and heavy suitcase with me. I rang the bell a few times but no-one came downstairs so I struggled with/dragged my (much too heavy) suitcase up two flights of stairs. After my encounter with the taxi driver and a really, really long day I was practically having a breakdown by the time I got to the hostel’s door. However, all was well when I made it through the door. The staff were all super friendly and helped me get my luggage to my room and then gave me a brief tour of the hostel. After being given my linen and towels, I just about made it to my bed to collapse and sleep extremely well! 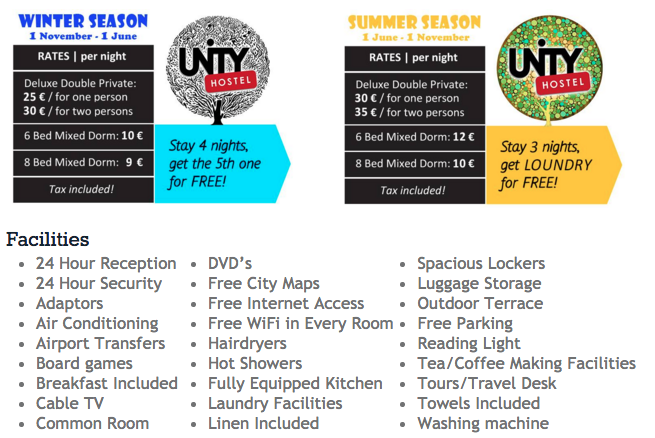 This is probably the best phrase to describe Unity Hostel – cheap (definitely perfect for anyone travelling on a budget!) and the staff were all absolutely lovely and really helpful when it came to where I should go and what I should see. I really enjoyed staying at Unity Hostel and will definitely stay there again when I come back to Skopje! I officially am a little in love with Skopje. I don’t know what it is about the city, but I definitely want to go back. I missed out on visiting some places that I wanted to see, but – in the end – I just ran out of time. Skopje itself is fairly small population-wise as cities go, with about half a million inhabitants. At first, I thought the city wasn’t that big, but instead of being more of a circle shape the city is more like an oval (I believe it was reconstructed in a specific way after the 1963 earthquake that destroyed a lot of the city in order that any other quakes would have a more limited impact) and is actually about the same size as Chicago. 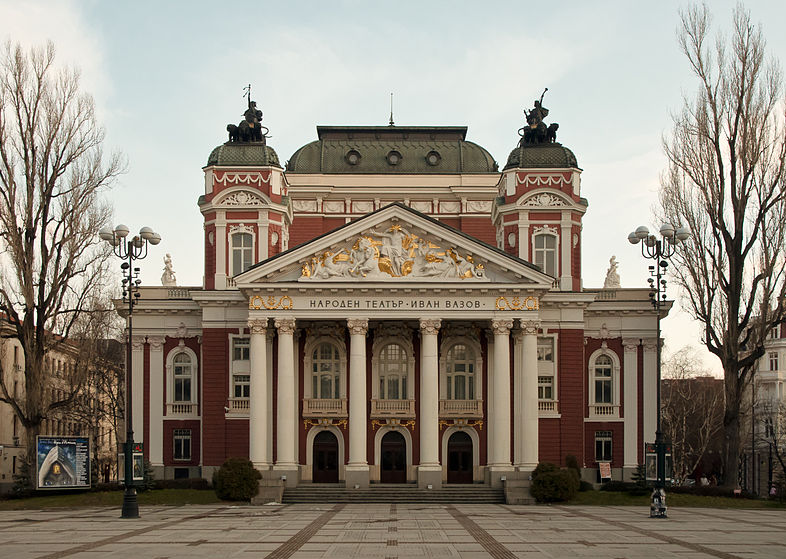 If you visit Skopje, I recommend that you visit the city when it’s a little less cold. The city is absolutely beautiful in this season but is really quite cold and it takes a bit away from just being able to wander around a city (although nothing compared to where I went next (Sofia) at -21ºC). There are probably some people from the USA/Canada/Russia reading this and scoffing about -21 being “really cold”, but I’m from the UK and we think anything below 10 is quite chilly! I’m a massive fangirl when it comes to awesome architecture, so I’m really annoyed I ran out of time and didn’t get to go see the Old Bazaar. However, I visited St. Clement of Ohrid Church and was gazing around the inside like a kid at a sweet store – it’s amazing! The look of Eastern Orthodox churches is so different from churches in Western Europe and I hadn’t (up until now) seen any in person. When I first walked into the museum, I thought it was just a small photography exhibition until I walked slightly further in and discovered there was a whole other part of the museum – part dedicated to the 1963 earthquake and part dedicated to archaeological discoveries from the site of Scupi, where a Roman military camp was founded on the site of a Dardanian settlement. There were a few people at the photography exhibition (which I still don’t quite know what it was about as it was entirely in Macedonian, but I figured out it was something to do with Warsaw) but in the museum itself I was the only person there. The exhibit about the earthquake was really interesting and I recommend a quick visit; the archaeological exhibition didn’t really have much information apart from just telling you what the artefacts were. On my second day in Skopje I ended up waking up at around 6am and going exploring to get some photos as the sun was coming up (and to make up for not getting out until about 11:30am the day before). I knew I only had until about lunch when I would have to leave for Sofia, so I wanted to make the most of the time I had. 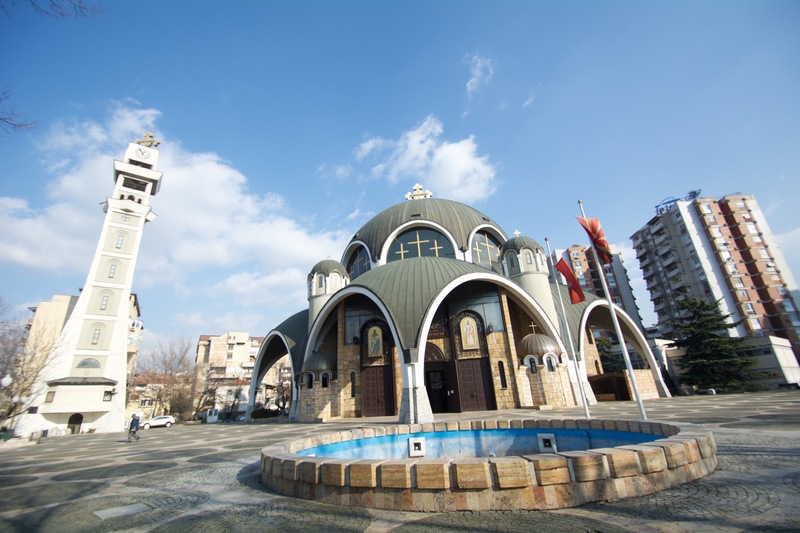 Other recommendations are the Memorial House of Mother Teresa (who was born in and lived in the city until she was 18), Holocaust Memorial Center for the Jews of Macedonia and Skopje Fortress. It was definitely a rather brisk morning, but since I got some good shots of the city and followed up my walk with visiting two cafés, it was worth it! The main things I don’t want to miss next time I go are the Old Bazaar, Matka Canyon & Vrelo Cave, and Mount Vodno. 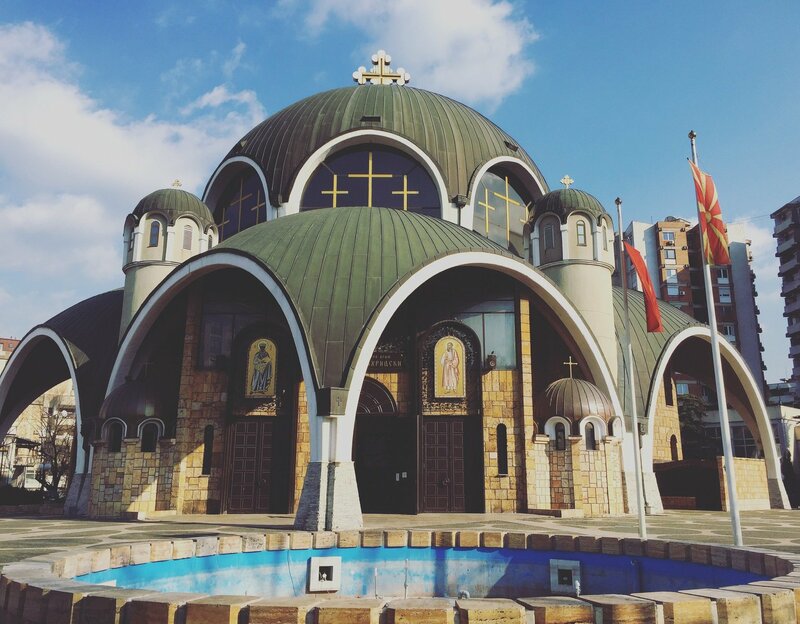 If you visit Skopje (and you definitely should) – don’t miss them out like I did! Unity Hostel hosted me during my stay. All opinions expressed are my own.